This is a report on a project led by ECOCEAN and supported with a grant from the Aquarium’s Marine Conservation Action Fund (MCAF) in 2010. MCAF supports the Aquarium’s commitment to ocean conservation by funding small-scale, high-impact projects across the globe. Since its founding in 1999, MCAF has funded more than 100 conservation projects in 36 countries and has disbursed more than $600,000 to protect highly vulnerable species and habitats and to conserve marine biodiversity. Whale sharks are gentle, beautiful animals, and at lengths reaching well over 40 feet, are the largest fish in the ocean. They are also one of only three known species of sharks that filter feed, straining their food from the water. Unfortunately, these magnificent animals face many threats to their survival. Overharvesting and bycatch along with habitat degradation have caused the International Union for Conservation of Nature (IUCN) to list whale sharks as “vulnerable to extinction.” In 2010, the sharks faced an additional threat when the 2010 BP Deepwater Horizon oil spill contaminated a large area of whale shark habitat. Given the great potential for this spill to affect the whale sharks, it was imperative to track any changes in their population. With support from MCAF, the organization ECOCEAN teamed up with the whale shark tourism industry to help monitor this species in the wake of the oil spill. The team focused their efforts on the waters surrounding Isla Mujeres and Isla Holbox, in eastern Mexico. Large numbers of whale sharks visit these waters every year, drawing thousands of tourists eager to see the sharks up close. The ECOCEAN researchers worked with a local whale shark research organization, Proyecto Domino, to train tour boat operators how to photograph the sharks to capture the unique markings that identify each individual. The tour operators taught these methods to tourists who came to swim with the sharks. 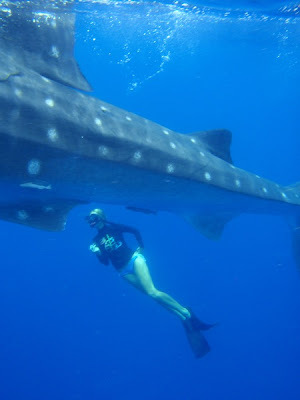 With the help of the tourists, more than 5,000 images were collected and over 400 sharks identified during the 2010 season. These sightings were entered into the ECOCEAN’s database, which is the largest online whale shark photo-ID library. Individual whale sharks can be identified by the unique pattern of markings on their skin. 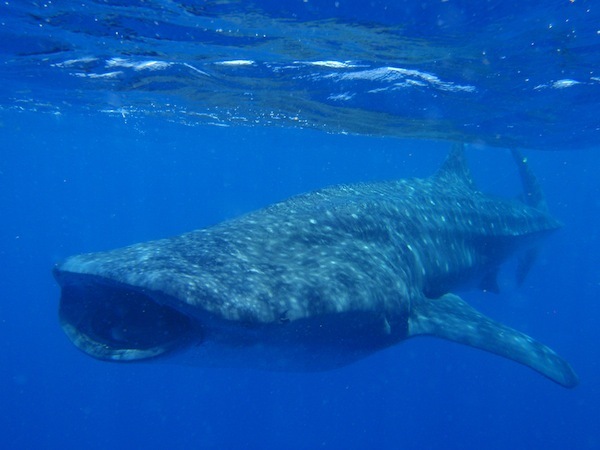 Thanks to the 2010 pilot program, the 2011 whale shark season in Mexico has been a tremendous success in terms of sighting reports sent in to the ECOCEAN Whale Shark Photo Identification Library for new and returning sharks. This is crucial both for our efforts to better understand this impressive annual aggregation of whale sharks and to provide critical input to our work to better protect this threatened species.